In a surprise development, Virgin Atlantic has joined forces with easyJet, for the low-cost carriers connecting platform ‘Worldwide by easyJet’. The ‘Worldwide by easyJet’ was introduced in September last year designed to help passengers booking connecting flights with easyJet and other airlines at London Gatwick for a fee. Initially, it launched with onward flights on WestJet and Norwegian. This quickly expanded to Thomas Cook Airlines, Corsair, La Compagnie and Loganair and the connections platform was extended to Milan Malpensa airport in December 2017. Earlier this year easyJet decided it would roll out the connection service to Berlin Tegel, Venice Marco Polo, Amsterdam Schiphol, Paris Charles De Gaulle and Orly and Edinburgh airports. The platform has proved to be a huge moneyspinner for easyJet as not only do passengers pay a fee for the connecting service but also on average pay a bit more for the 'connecting' flights than they would if they purchased them independently. 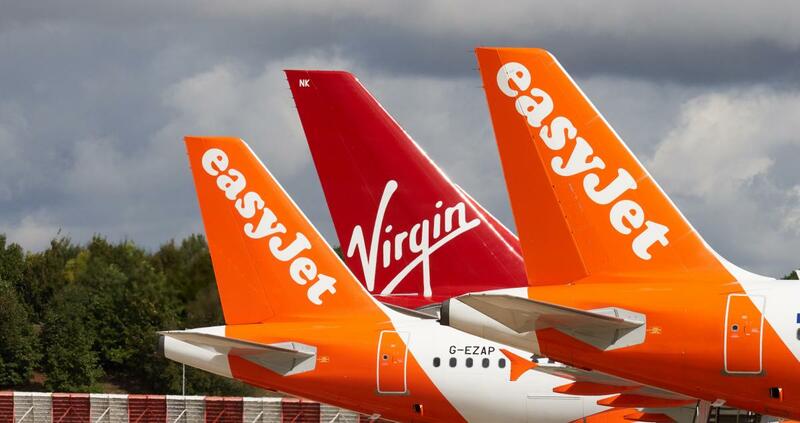 The new addition of Virgin Atlantic to the programme at London Gatwick means people can connect from easyJet flights to Virgin flights at London Gatwick Airport." Johan Lundgren, easyJet Chief Executive Officer said, “We are really pleased to welcome Virgin Atlantic to ‘Worldwide by easyJet’. Given we both serve many popular destinations from London Gatwick, we are confident their addition to Worldwide will be very popular with our customers." We recently looked at booking a trip to Las Vegas from Glasgow departing 19th November and return 26th November, just one person. Using 'Worldwide by easyJet' the price came out at £706.33 including taxes. We just used the most basic fares offered, not adding any extras such as luggage, seat selection or insurance. Price also doesn't include any credit/debit card fees. Next, we looked at the cost of booking directly with easyJet for the same Glasgow to London Gatwick and Gatwick to Glasgow flights on the same dates. Again we just took the most basic fare option offered, without adding on any of the extras, which is quite difficult as the easyJet site bombards you with various add-ons. The total cost for the flights is £80.66. So then we tried to look at the London Gatwick to Las Vegas return flights for the same dates, just to see how much they would be. Rather surprisingly, it was a lot cheaper than offered via the 'Worldwide by easyJet' system. Of course, again we chose the most basic of price options offered, without any additions or extras, so it would be an accurate comparison. So booking directly would cost £560.46. Therefore booking directly would save us £145.87 per person. We'd also be able to use the Gatwick Connect service, free of charge! Important to remember if booking independently is the minimum connecting times at London Gatwick is 60 minutes for same terminal flights or 90 minutes for flights in and out of different terminals. We wonder if when Craig Kreeger said that Virgin and easyjet "shared customer-centric ethos," he meant they had a shared ethos for ripping customers off!